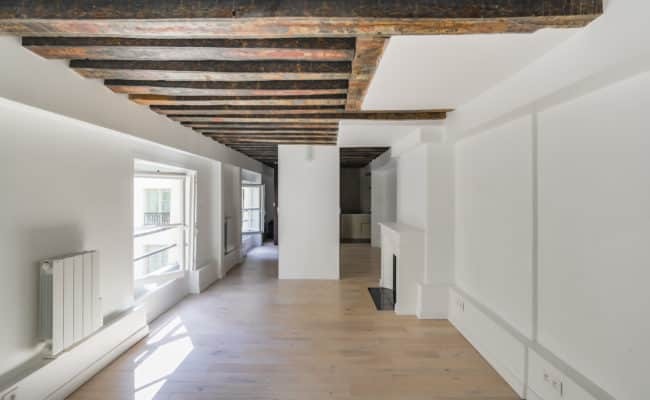 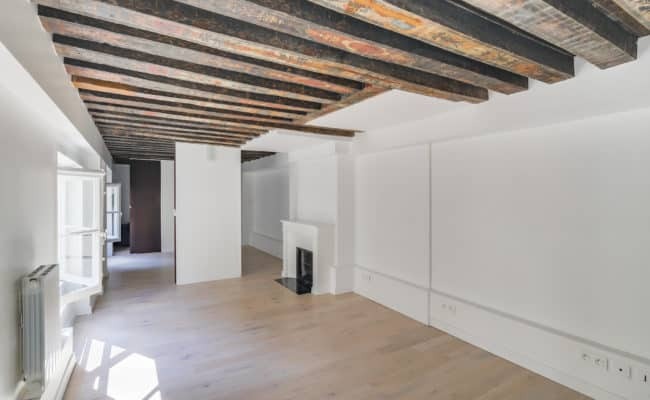 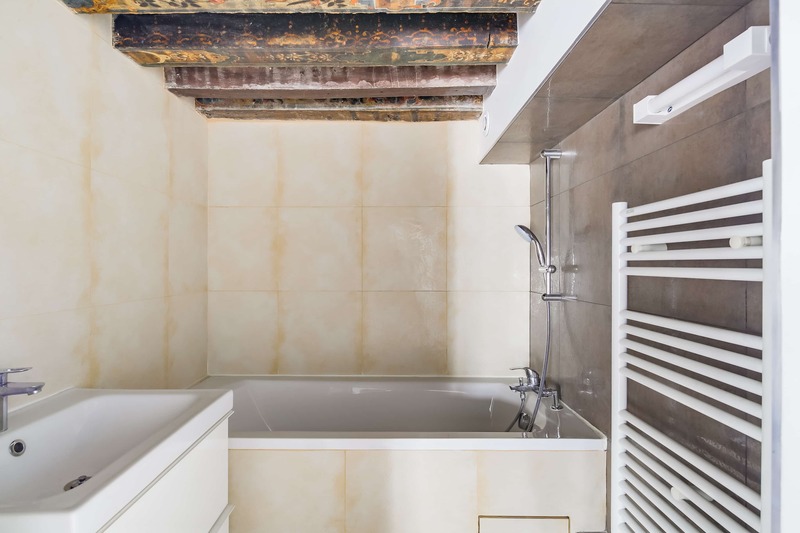 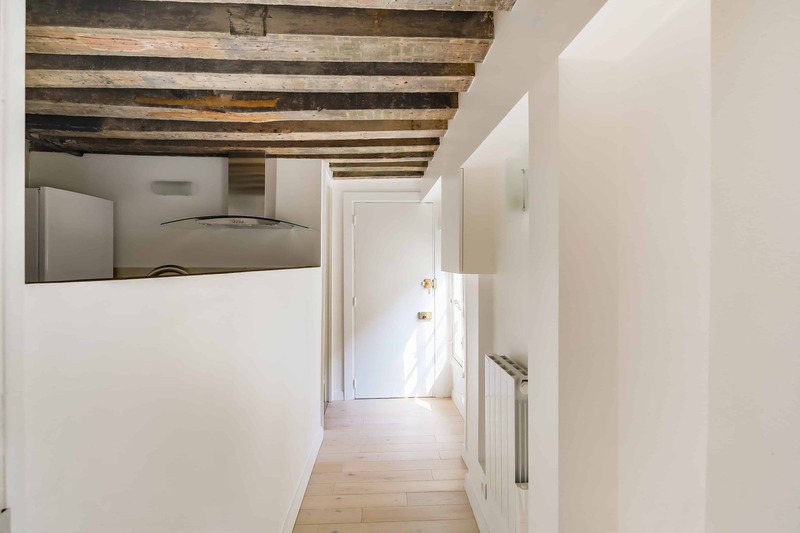 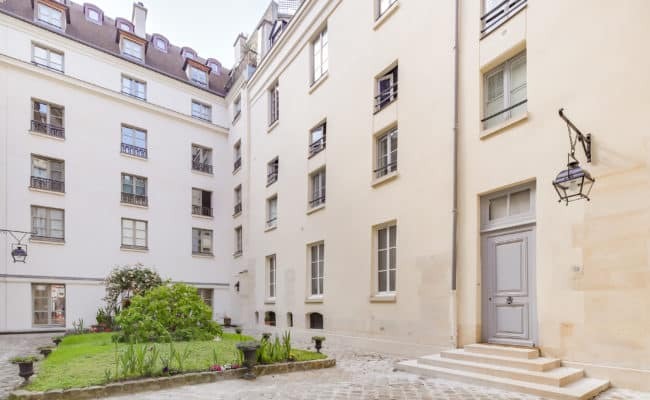 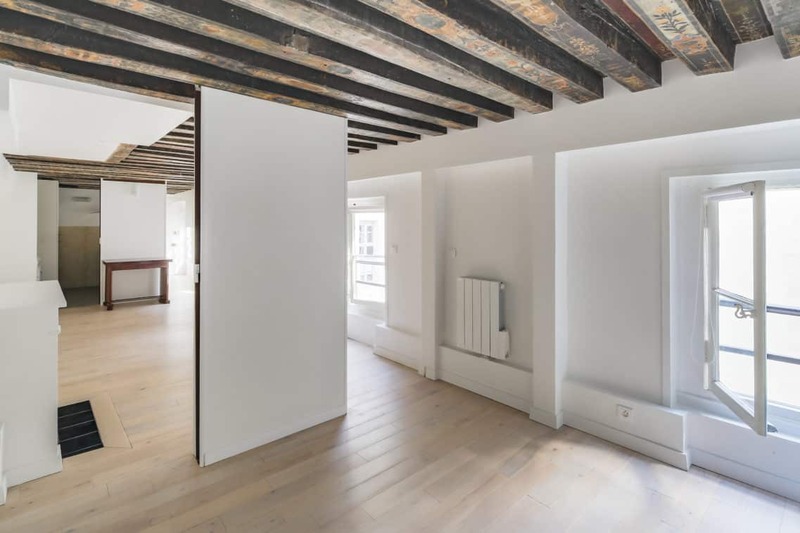 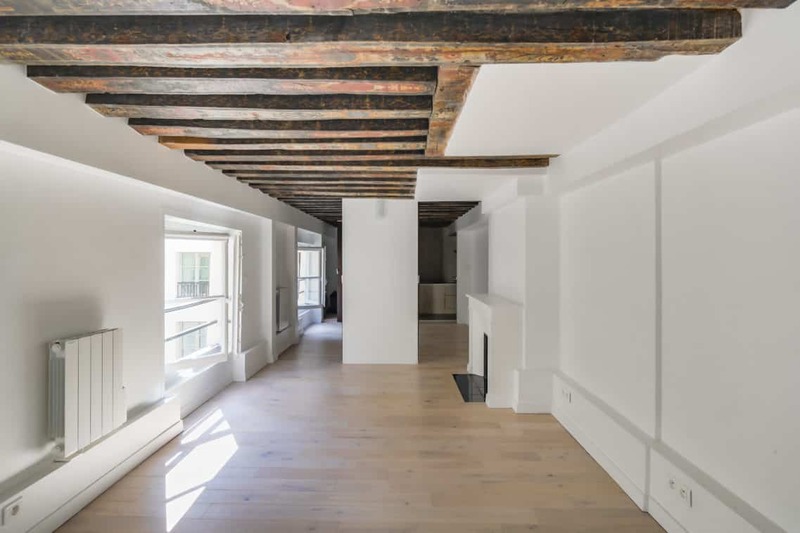 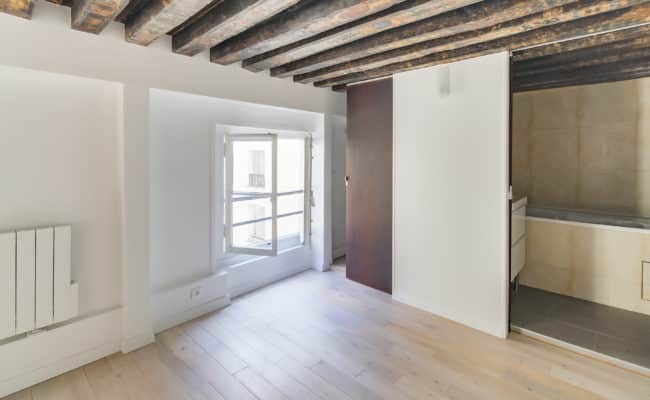 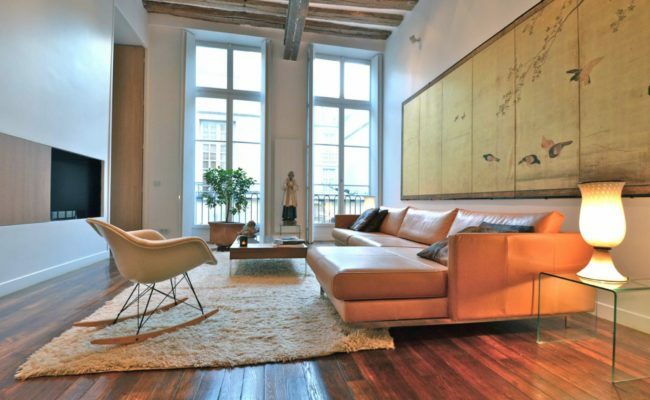 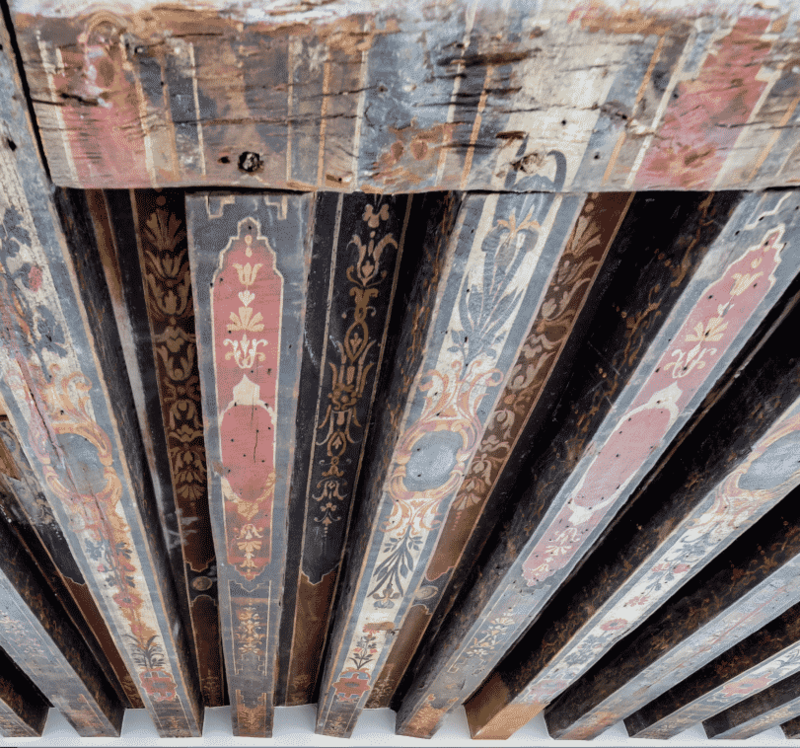 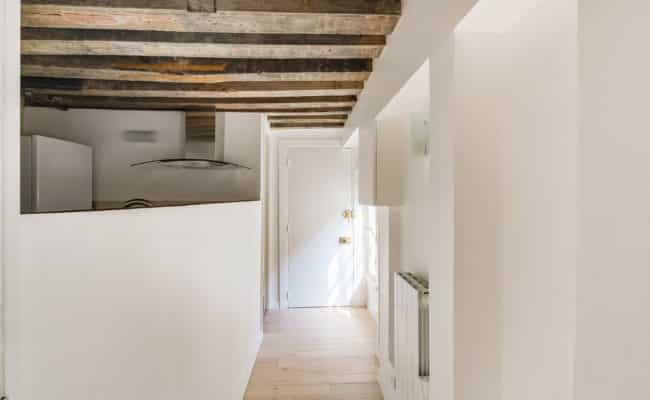 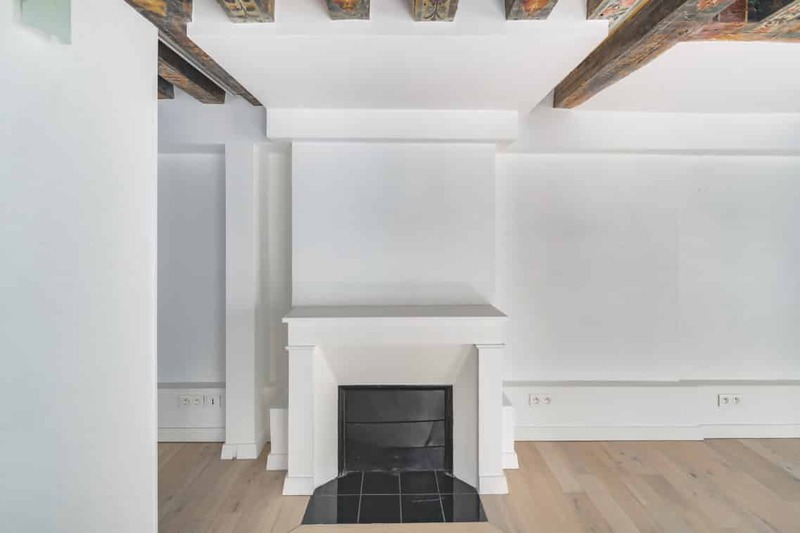 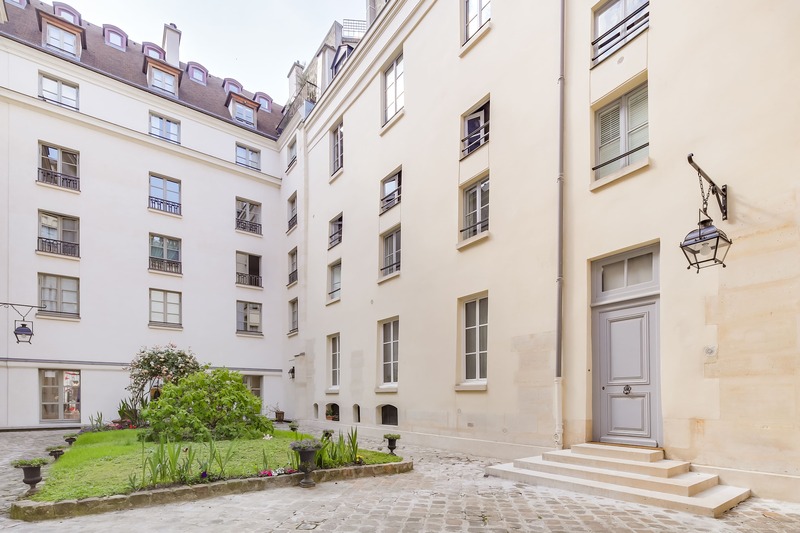 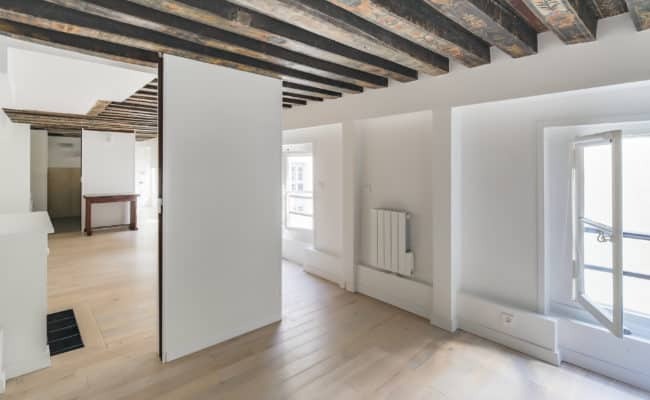 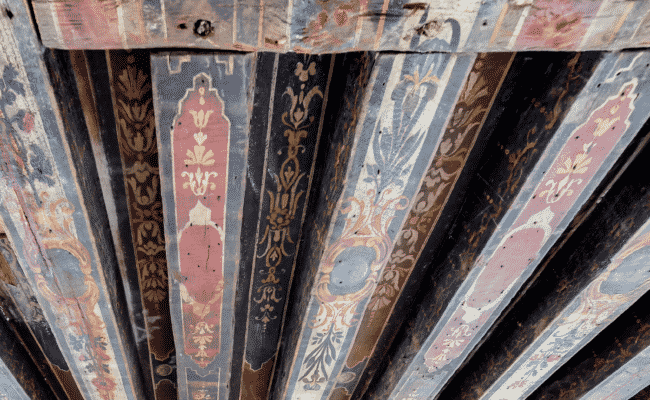 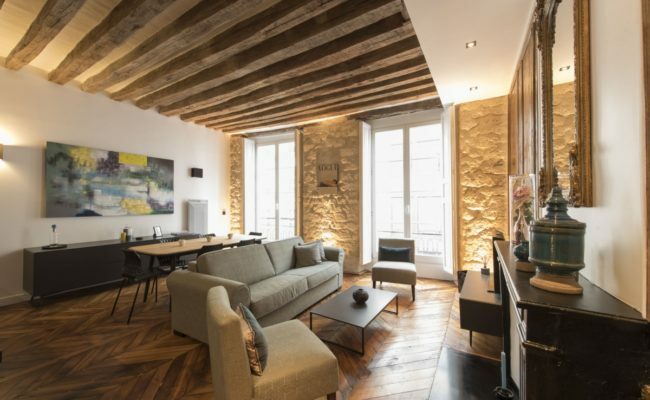 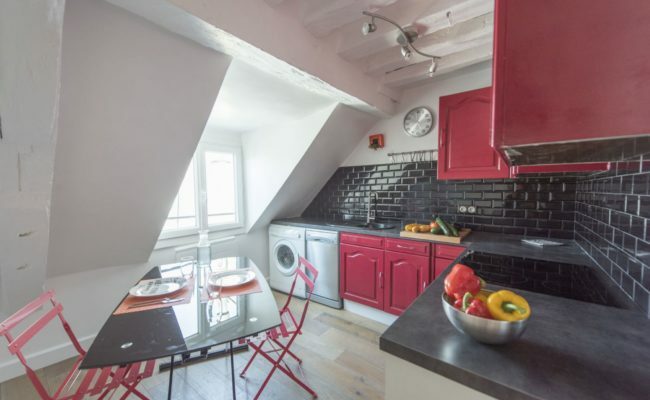 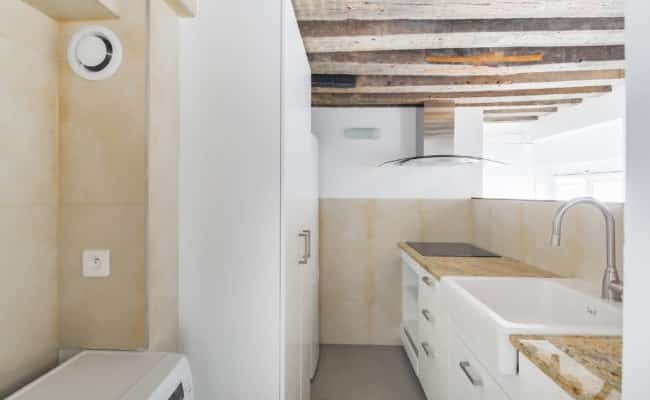 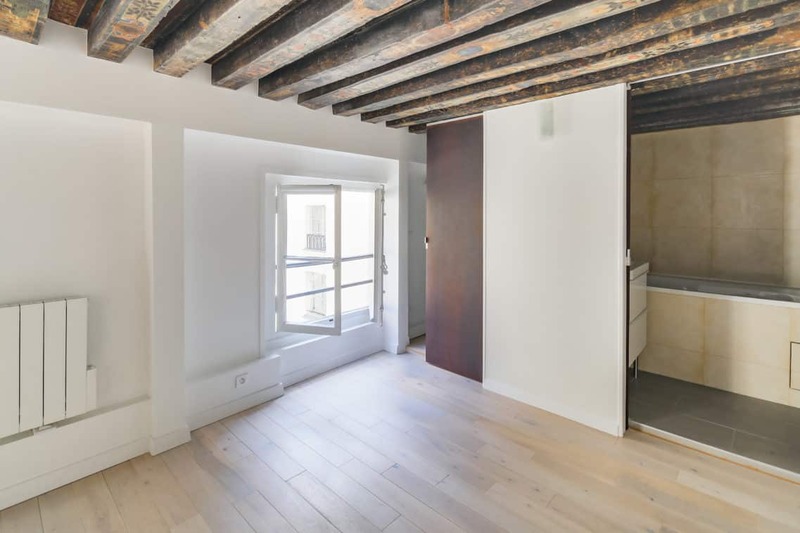 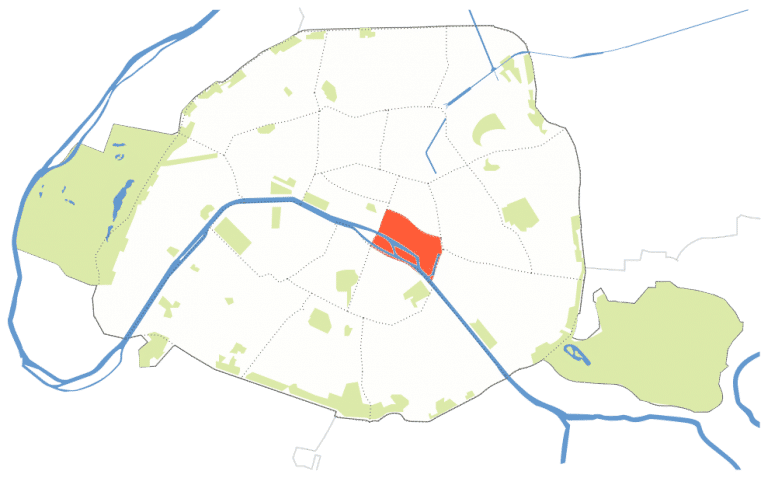 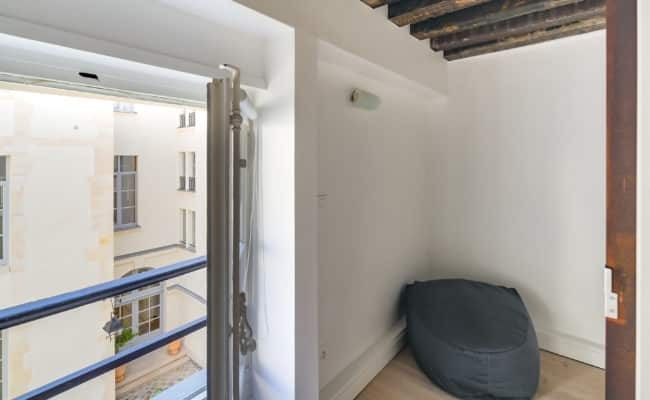 One bedroom, one bath: Place des Vosges architect renovated property with historic painted beams, on garden courtyard. 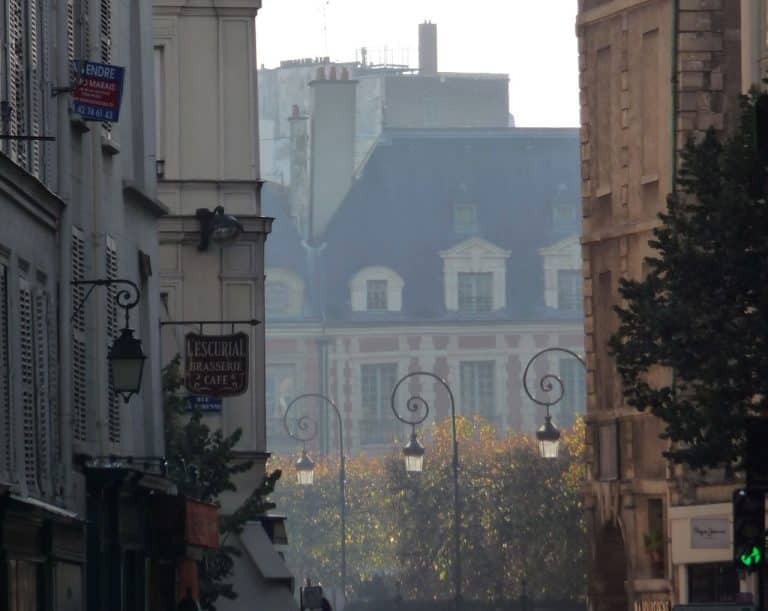 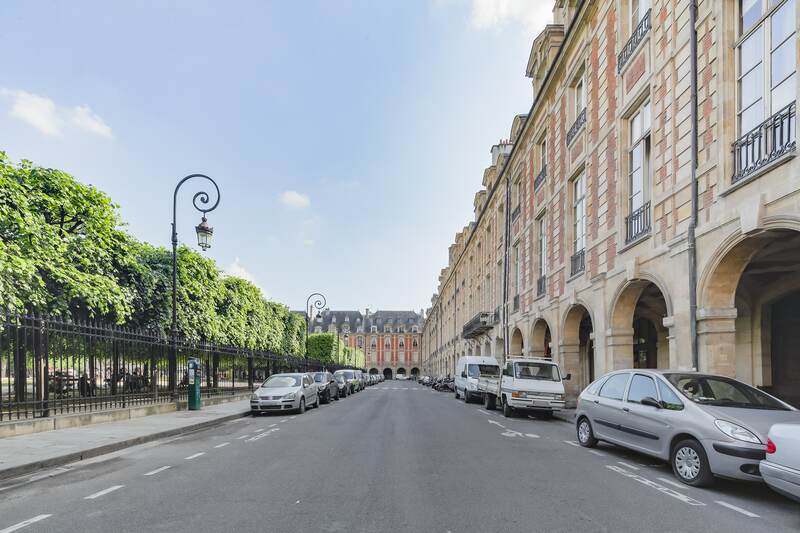 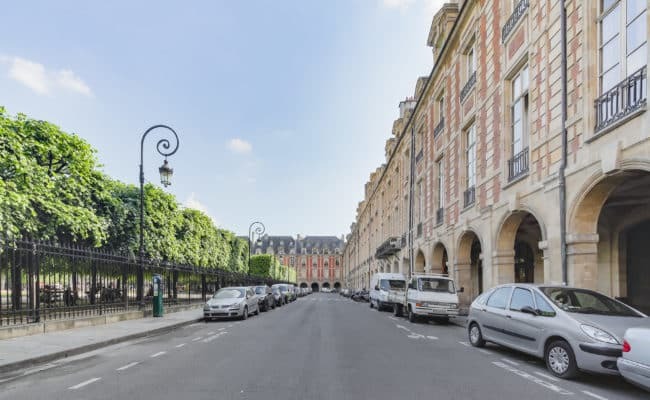 Place des Vosges – perfect pied à terre or investment, prestigious address on the unique Place Royale in Paris. 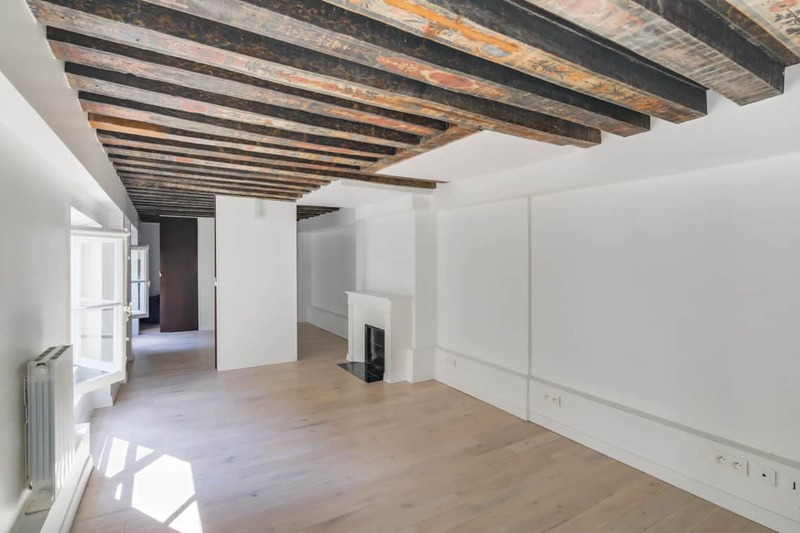 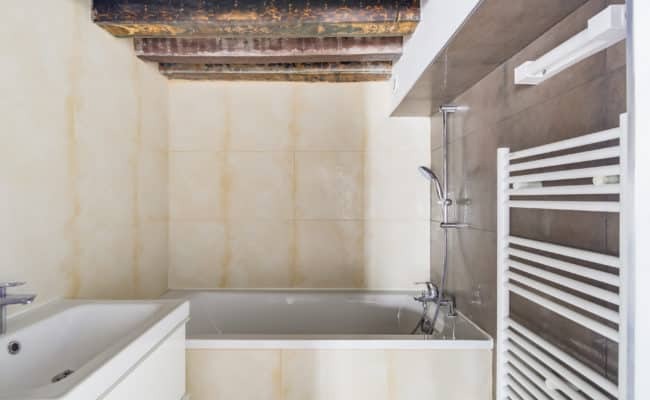 This 2nd floor 1-bedroom 39m2 loi carrez and 40.6 m2 useable space apartment accessible by elevator is in a 17th century building in perfect condition. 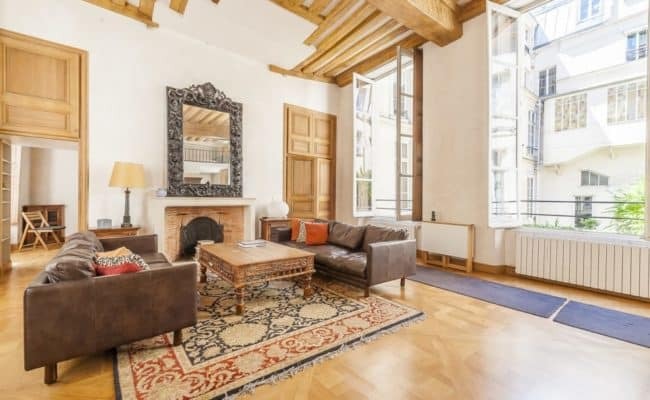 Bathed in light, with a Southern exposition, this property features four large windows overlooking a calm, beautifully planted garden courtyard. 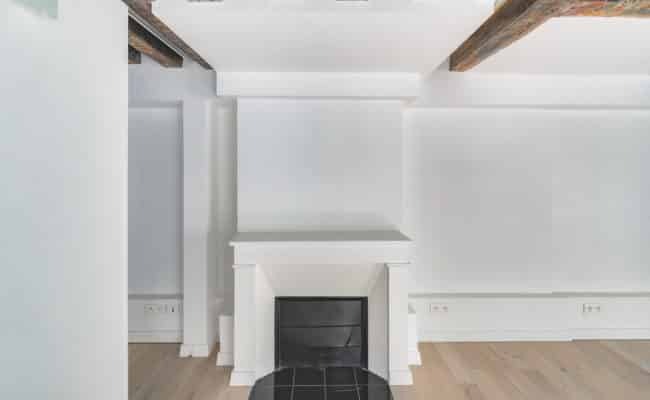 The perfect blend of historic charm with modern amenities, this property features original, historic painted beams, a fireplace, wood floors, new kitchen and bath – entirely renovated by an architect. 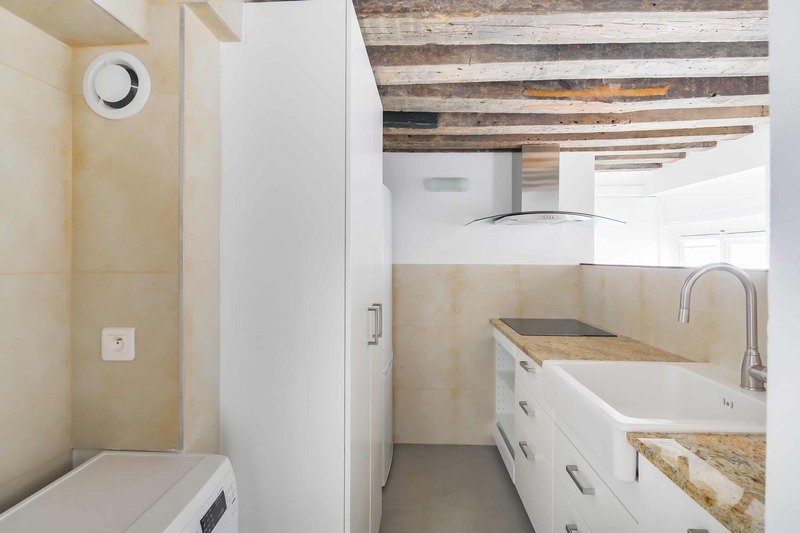 It includes an entrance with separate toilet, fully equipped and semi-open kitchen, living / dining room with fireplace, a bedroom, a bathroom and a large walk-in closet. 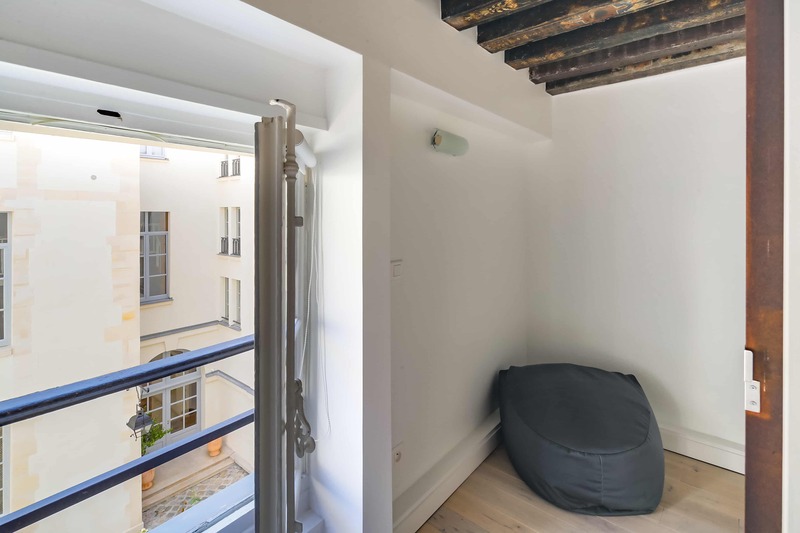 Secured building with 2 door-entry codes and guardian.